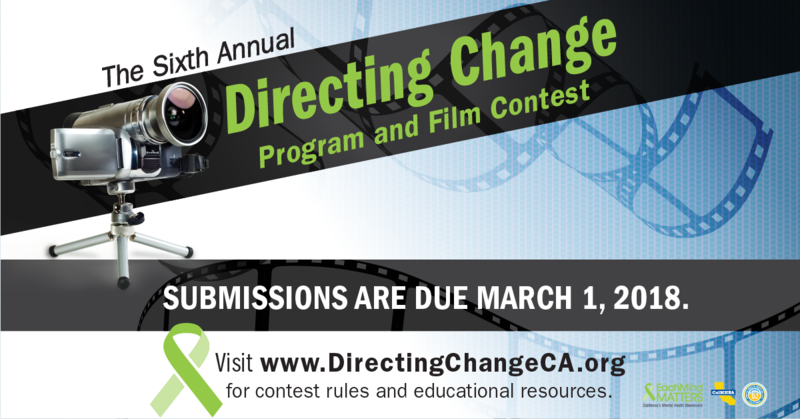 The Directing Change Program & Film Contest is an evaluated youth engagement program. 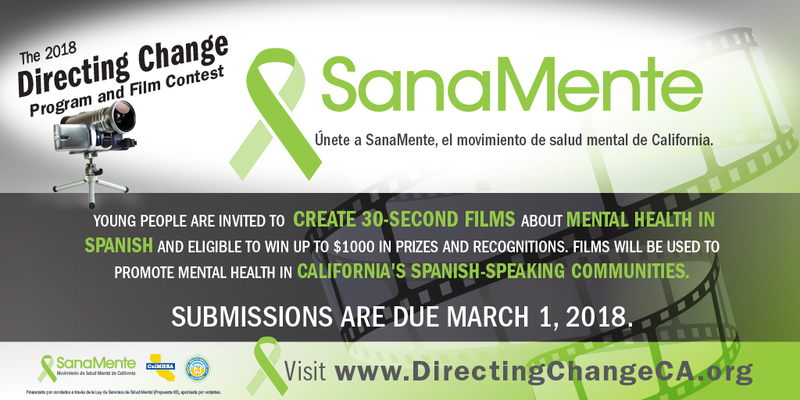 The program engages students and young people throughout California to learn about the topics of suicide prevention and mental health by creating 30-second and 60-second films about suicide prevention, mental health and through the lens of culture, exploring the topics in different languages and from the perspective of different cultures. 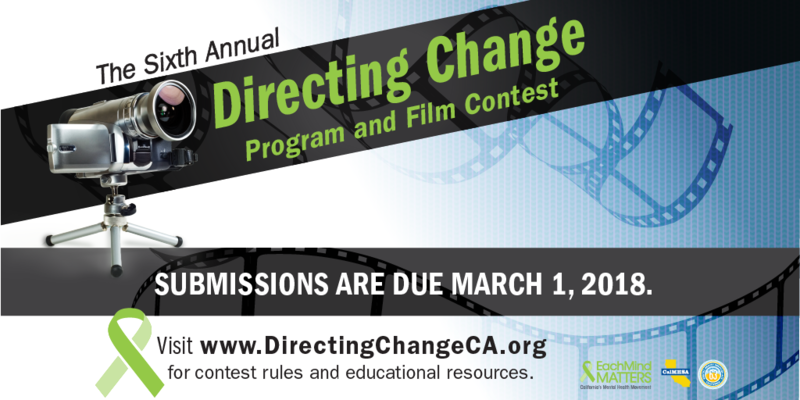 For more information about the program, educational resources and to view and download films visit:www.directingchangeCA.org. 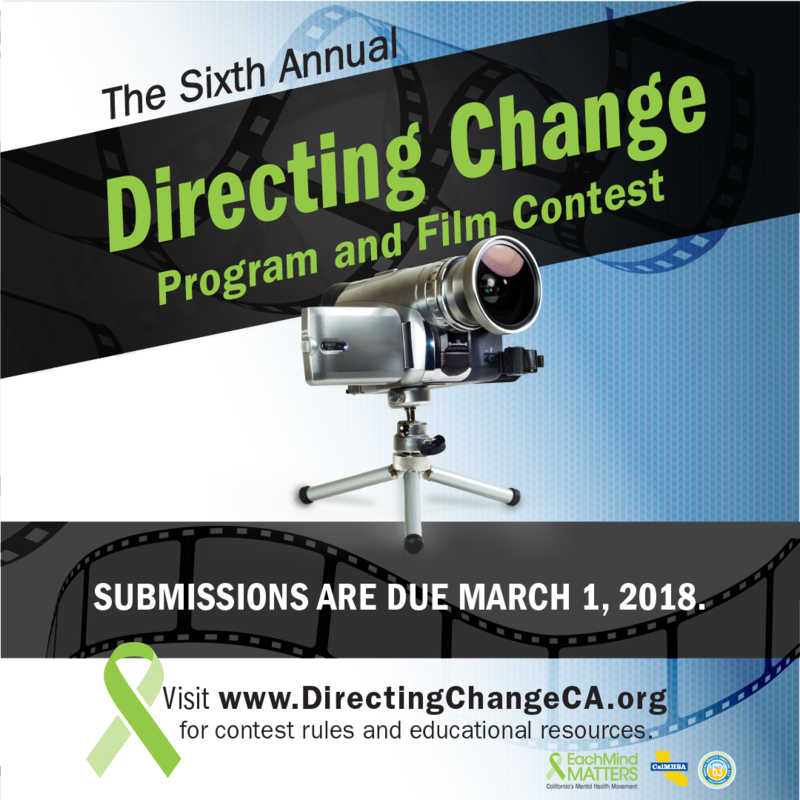 The materials provided here are for the 2017/18 implementation year and include social media posts, promotional flyers and a judge sign-up sheet to share at meetings and events. In addition, a summary of the 2016 evaluation by NORC is provided. The teacher booklet is a printed version of the contest rules and submission guidelines. The short booklet provides information about the program at a higher level and is most suitable for administrators and stakeholders.